Do you have it all but instead of feeling Successful and ‘At Peace’ you’re just OVERWHELMED? I also know that it doesn’t have to be that way. Simply by getting your life Pared Down so you can achieve INNER CLARITY and focus on things that matter most! You’ll be more energetic, motivated, effective, & focused and less distracted and stressed out. Step One – Take a good, honest inventory of an area in your life that needs fixing and write it down. Step Two – Examine your inventory. Step Three – Do one little thing to adjust it. If you need some help digging deeper, email me at karen@karenjhornsby.com. I’ll hold up that mirror for you by asking the right questions. In the meantime, check out my Helpful Hints page. There are even some Pared Down activities for the kiddies that’ll get them unplugged from their electronic devices while sparking their imagination! Puppet Scripts For Kids are downloadable scripts for children ages 4-12 (and anyone young at heart). They start at only $4.00 and are available in Etsy. Select scripts come with FREE puppet characters! Kids’ Stories Read Aloud for FREE, inspiring stories. Hit Play and Enjoy! 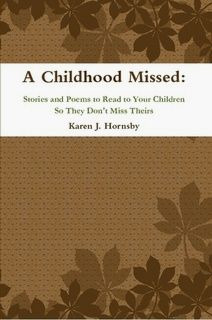 And get a copy of my latest book: A Childhood Missed: Stories and Poems to Read to Your Children So They Don’t Miss Theirs. It’ll help cultivate your child’s imagination. 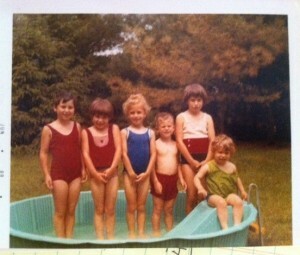 ‘Swimming’ in our ‘Pared Down’ pool during those very ‘Pared Down’ (short) summers! 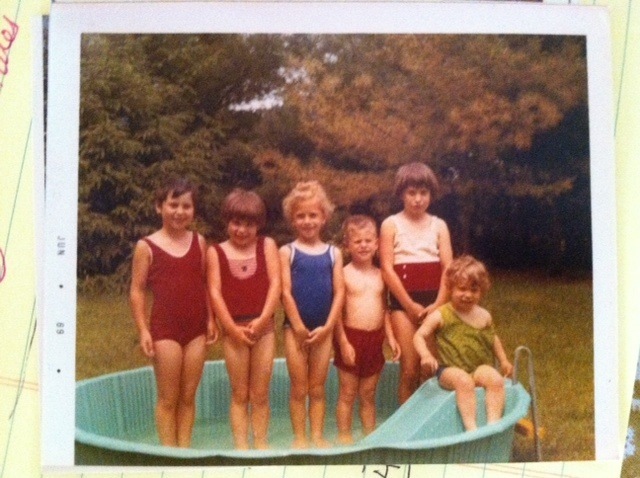 Originally a New Yorker (the Upstate version), I grew up in an Irish-Italian, Catholic family and loved hanging out with my siblings, especially during those long, cold winters when we were all stuck indoors driving our poor mother crazy. Author, speaker, coach, radio contributor, former teacher & lifetime lover of all things literary, I can be reached at Karen@karenjhornsby.com. I’d love to hear from you! Dear Karen, Have just seen the list of c.d’s of your conferences. They are ALL needed for the great G.K.C. archive here in the centre of Oxford. Can you arrange for them to be sent to me, and I shall pay either by VISA card or by cheque drawn in $ on U.S. Bank? My address is: 1, Stubbs Avenue, Headington, Oxford, OX3 8RT, England. Dale Ahlquist will commit perjury on my behalf. I am 94, and crumbling by the da… hour, so please delay not, forsooth. I will get right on it! Thank you for your inquiry, Aidan!